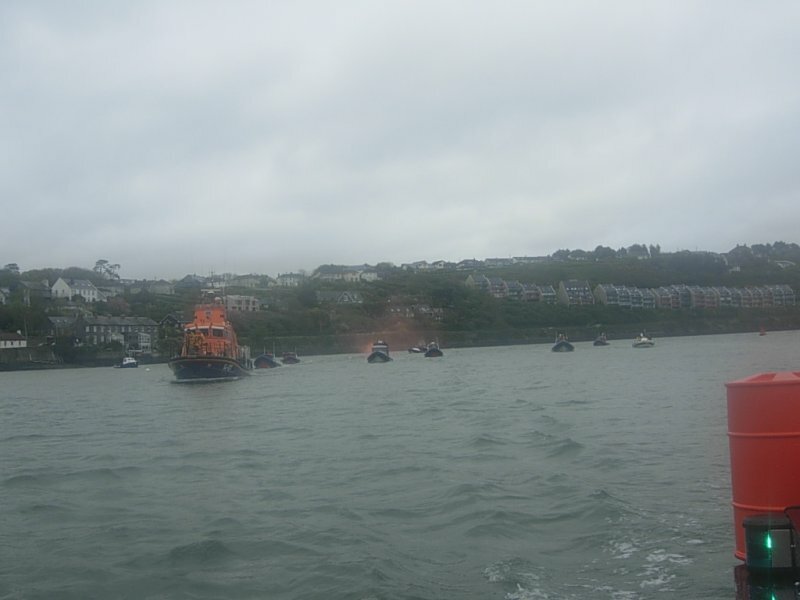 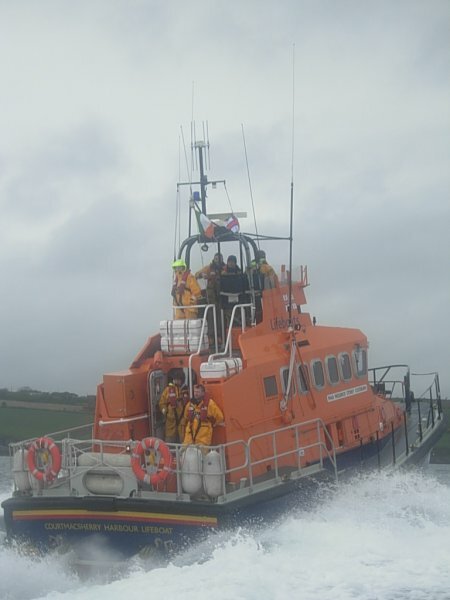 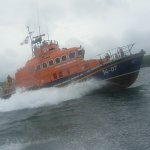 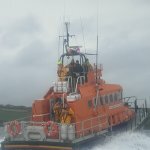 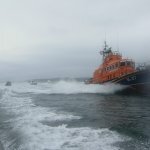 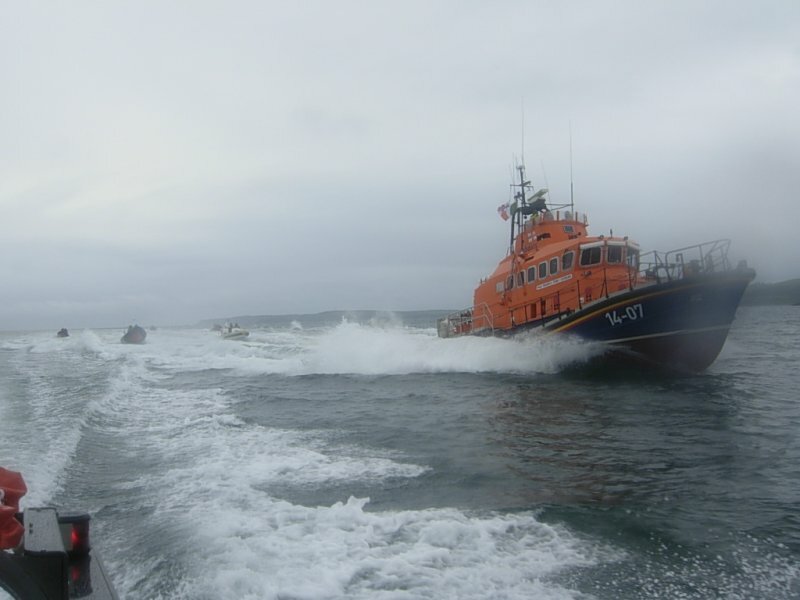 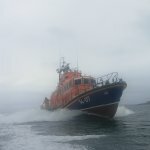 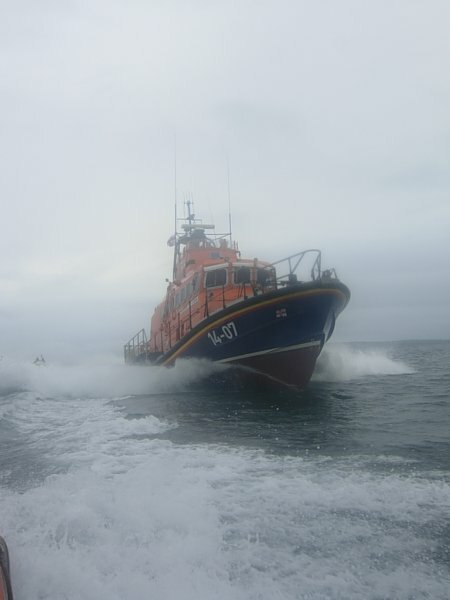 The current Courtmacsherry lifeboat, (code 14-07) is a Trent class lifeboat. 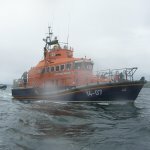 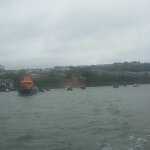 These lifeboats entered service in 1994. 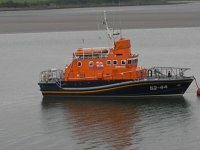 They are a "condensed" adaptations of the slightly larger Severn class lifeboat and were designed and built by Green Marine in England. 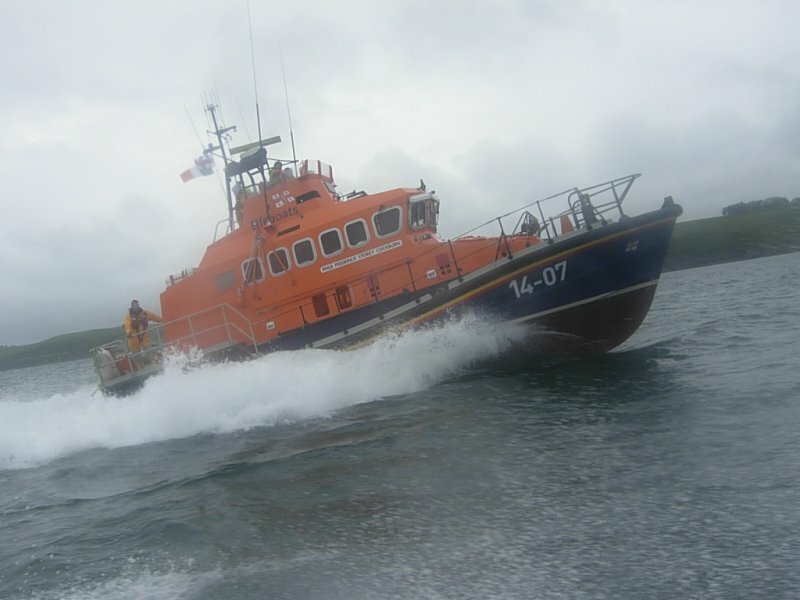 These boats are constructed of over 100 mm thick foam-cored, GRP composite topsides, single laminate double hull bottoms, 4 water-tight bulkheads and prepreg epoxy, glass and Kevlar shields. 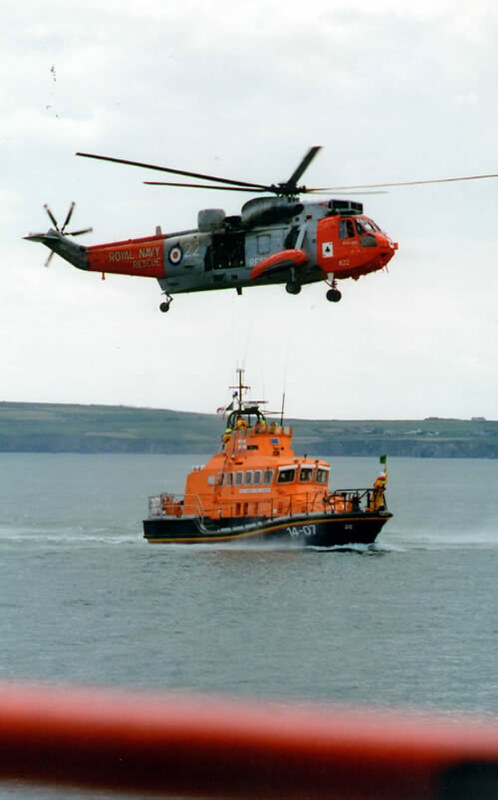 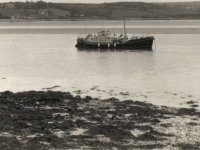 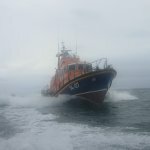 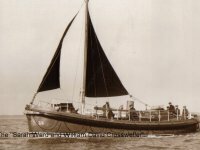 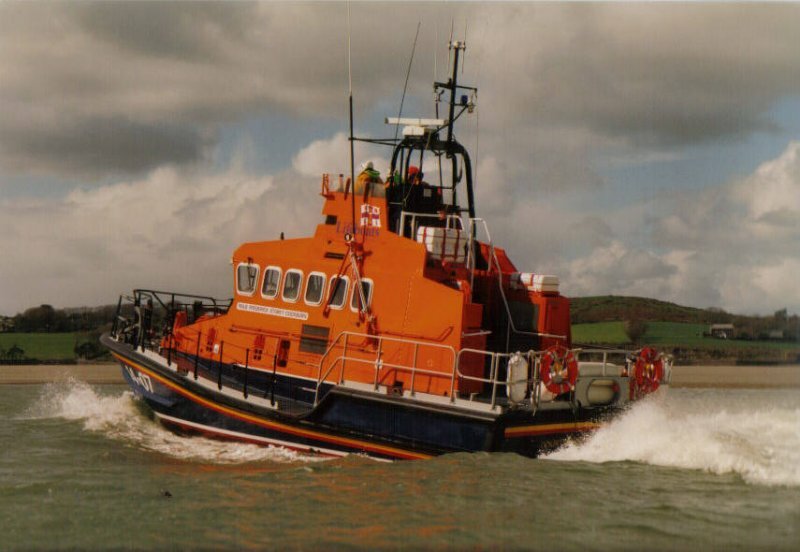 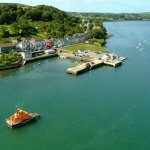 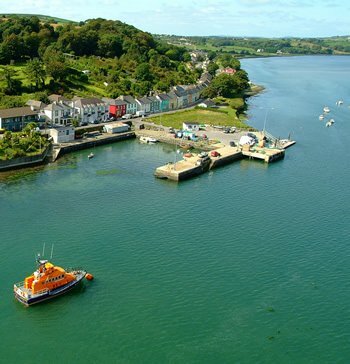 Courtmacsherry's Trent lifeboat arrived on station in 1995 replacing the Waveney class "Arthur & Blanche Harris". 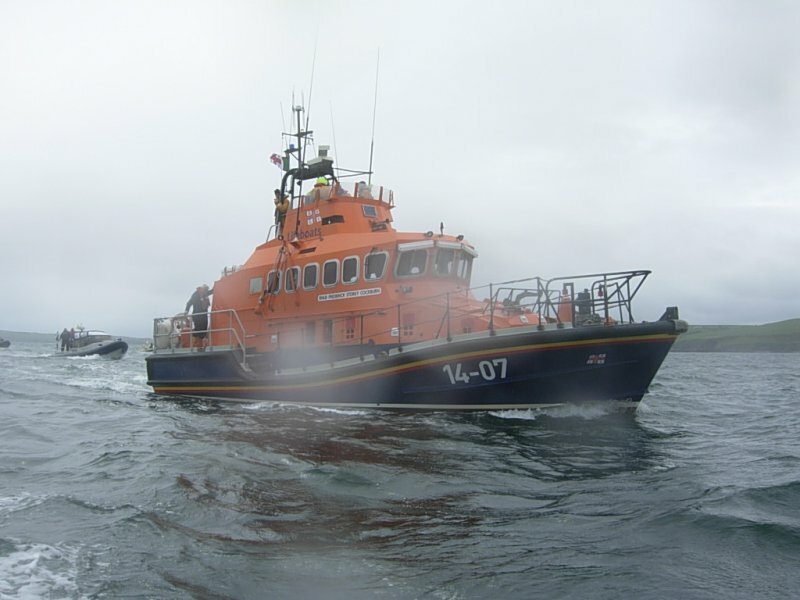 The Trent lifeboats are the only true all-weather lifeboats of the RNLI fleet, and, as the name implies, are the only classes exclusively designed to operate in Europe's most hostile waters. 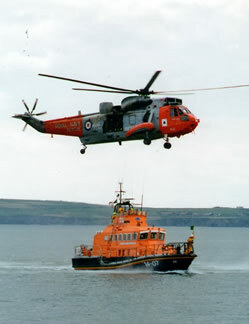 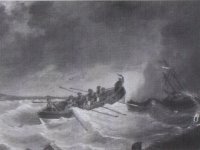 Their roles typically see them and their crew leaving port when those ashore seek shelter. 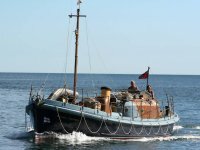 One useful design feature of these boats is the two bilge keels which aid in protecting its twin drive props. 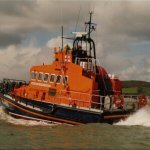 Its hull sheerline sweeps down into an area known as the welldeck, which dramatically helps with ease of casualty recovery. 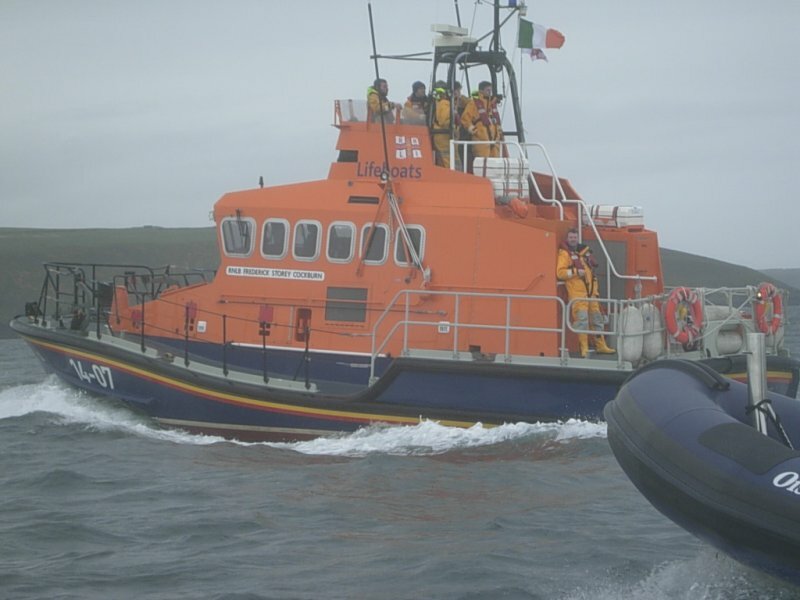 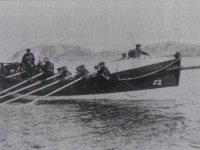 Another useful feature is the boats manoueverability - which is especially important in confined or trecherous areas, Trents carry an inflatable XP-boat which is powered by a 5 hp outboard engine, and can be deployed in good conditions to gain access to rocks or beaches when an inshore lifeboat is otherwise unavailable. 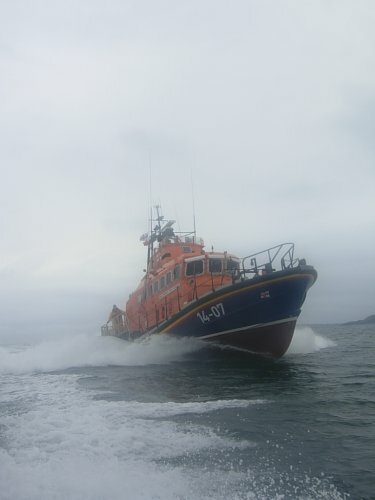 Electronics aboard include Navtext, VHF/DSC , Laser plotters, AIS information and more. 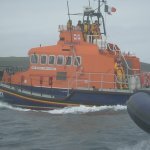 Rescue equipment includes emergency transferable pump, stretchers, medical kits, a hydraulic hoist, fire pump and hoses, and more. 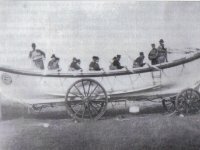 Specifications of the "Frederick Storey Cockburn"
L.O.A. 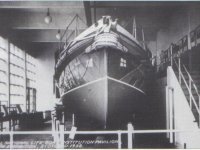 14.26 m (Hence the 14- prefix on the hull identification. 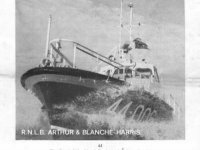 102 - in non-self-righting capacity.